New arrivals at the Zoo! The National Zoo & Aquarium in Canberra is pleased to announce a number of new arrivals in time for the New Year. We will be unveiling a brand-new species to the National Zoo as well as 4 new animals into the family. These new residents include a female eland (Mbali), a dingo puppy (Alinta) and two adorable black and white ruffed lemur babies (yet to be named). The lemur babies have only recently emerged from their den and can now be seen by the public. They were born to second time parents Polo and Masina and will become important additions to the international breeding program for their species, which is classified as endangered. 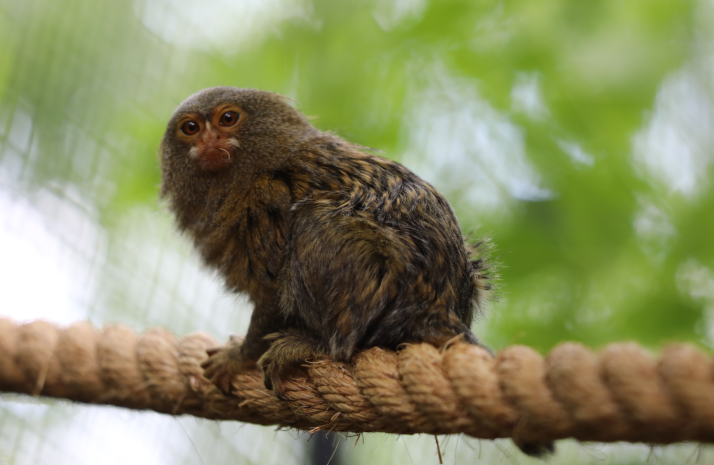 The zoo is also celebrating the arrival of its newest species – the pygmy marmoset, with two females (Adora and Sofia) now on display. All of these animals can be seen active and on display at the National Zoo & Aquarium which is open throughout the school holidays.